Chocolate Caramel Spread is as good as it sounds. A dreamy caramel concoction, thick enough to spread and laced with a generous hint of milk chocolate. 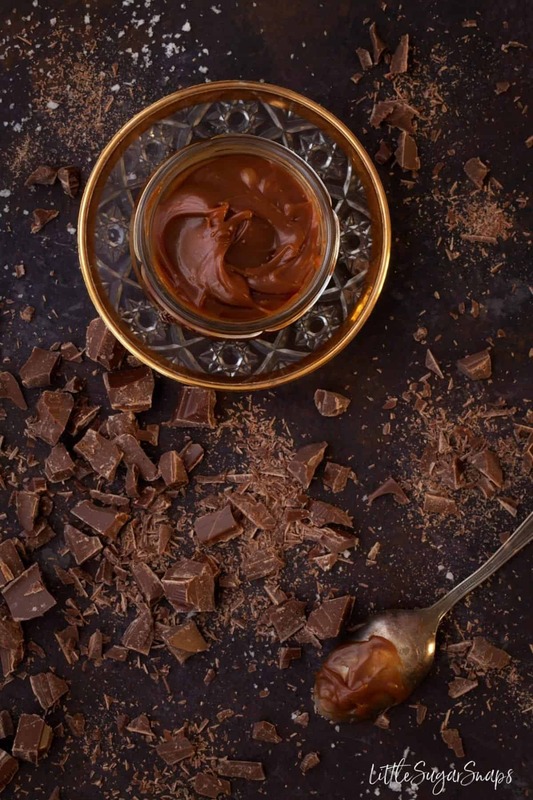 Go all out and add a kick of salt to turn it into Chocolate Salted Caramel Spread. Decisions decisions. All day I’ve been debating whether to bump a winter salad recipe and, you guessed it, in the end, I couldn’t resist. That means I have something savoury and healthy to present next week, as a light interlude, before it’s full steam ahead on the treats front until January. 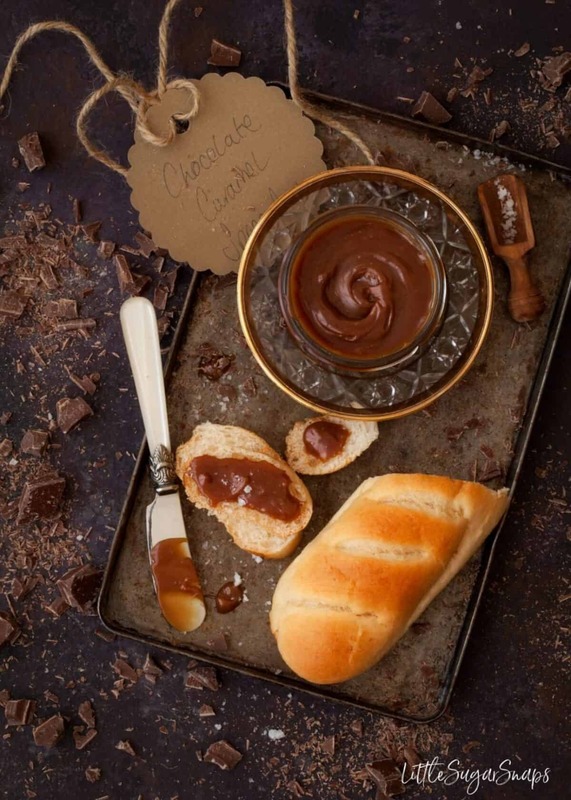 But enough of what’s to come, this Chocolate Caramel Spread is begging for our full attention today. The first thing to note is my decision to call this a caramel spread. Caramel is 100% the star of the show here with chocolate as a secondary flavour. This spread is rich and buttery, with a texture that is most definitely that of caramel – smooth, silky and gloriously thick. So really, it is quite different to chocolate spread on many levels. This gem of a recipe has been idling its time away in my notebooks for a number of years. But last week one of my kids politely requested I make it again soon. Okay, she begged me to make it. So I did – yesterday. I knew straight away that it should make it’s way onto LittleSugarSnaps at the earliest possible moment, so I snapped the pictures today and poor Mr Lentil Salad got banished to oblivion for a week. That should cover all caramel mood bases that could overcome us. For this Chocolate Caramel Spread, I recommend cooking the caramel to between medium and medium-well done (aka mid-dark amber). Keep your eye on the pan and do not let the caramel get too dark, else the spread will display unpleasant bitter notes when eaten. And if you can handle parting with a jar or two, decant into small jars for a thoughtful foodie gift. If the caramel cooks for too long, there is a chance the caramel will be too stiff to spread. If so, heat in the microwave on a low setting in short 10-second bursts until a spreading consistency is reached. Do not blast it at full power, else the spread will return to liquid form. Alternatively, reheat the entire batch gently, to melt, and stir through a little extra cream - 1 or 2 tbsp, depending on how thick the spread is - then let it reset. This looks absolutely heavenly – I feel like rushing out to buy the ingredients to make this one straight away! Pinning. 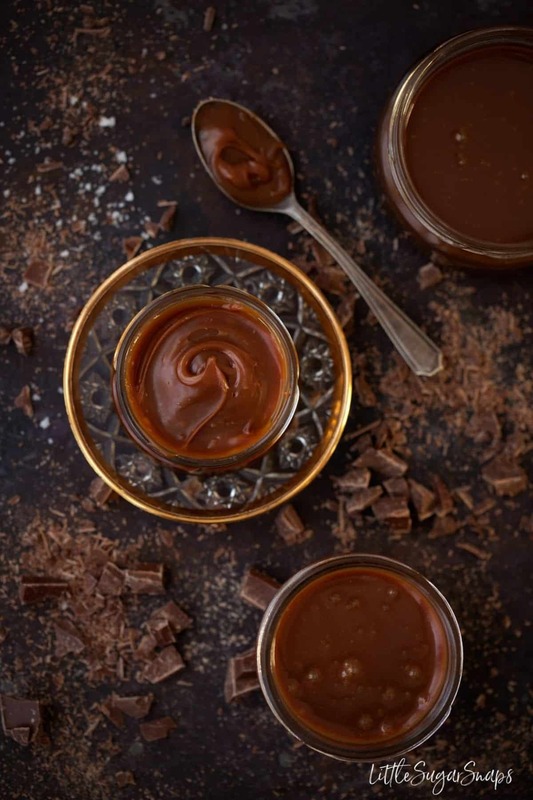 Oh wow I have never made my own caramel but now I’ve seen your chocolate spread I am going to have to get cooking – my family will adores this! Jane, this looks like such a stunner of a recipe. I can only imagine the richness, would be perfect for a cheeky Christmas snack! Oh my…this looks absolutely gorgeous! 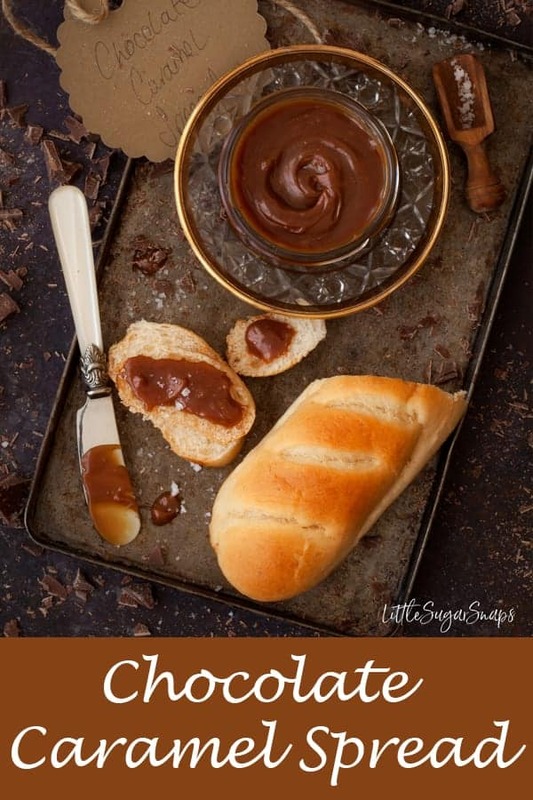 I adore caramel spread and Chocolate can only make it even more delicious 😋 This would make such a lovely Christmas gift! My eyes just lit up seeing this. I’ve already added the ingredients to my shopping list for the week and I can’t wait to make this. Oh wow. That looks so decadent and delicious!